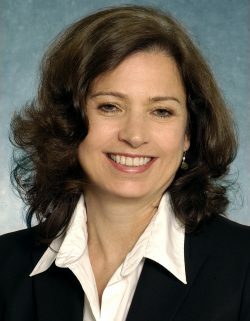 Jane Ambachtsheer is a Partner and Chair of Mercer’s Global Responsible Investment Business, which she established in 2004. Alongside working with investors in Europe and North America, Jane is responsible for overseeing the group’s strategy and developing intellectual capital across a range of topics – including climate change. Jane is a Trustee of CDP, a member of the FSB Task Force on Climate-related Financial Disclosures, and a member of the PRI Academic Working Group. Jane is an Honorary Research Associate at Oxford University’s Smith School of Enterprise and the Environment and an Adjunct Professor at the University of Toronto. Jane holds a Bachelor of Economics and English literature from York University and a Master of Social Science from the University of Amsterdam. She currently lives in Paris with her husband and two daughters. Sarah Barker is Special Counsel, Minter Ellison (Melbourne, Australia). Sarah has two decades’ experience advising Australian and multi-national clients on governance, compliance, misleading disclosure and competition law (antitrust) issues. Her expertise in the field of ESG (environmental, social, governance) in financial services and investment, and their relationship to fiduciary duties, is internationally recognised by organisations from the Bank of England to the European Union and United Nations PRI. Sarah is an experienced director and advisory board member. She is currently a non-executive director of the $24-billion Emergency Services & State Super and the Responsible Investment Association of Australasia. She sits on the Technical Working Group of the international Climate Disclosure Standards Board. Sarah has taught the Australian Institute of Company Directors Course for more than a decade, teaches as part of the Australian faculty of the Cambridge Institute for Sustainability Leadership, and is an academic visitor at the Smith School of Enterprise and the Environment at Oxford University. She was the instructing solicitor on a brief to Mr Noel Hutley SC in October 2016 that is widely cited as the authoritative exposition on directors’ duties and climate change risk in Australia. Paul Boothe is the Managing Director for the Trillium Network for Advanced Manufacturing. He recently retired as Professor and Director of the Lawrence National Centre for Policy and Management at the Ivey Business School, Western University. His career has included university research and teaching, acting as an independent consultant to Canadian and international organizations, and serving at the deputy minister level in provincial and federal governments. Dr. Boothe’s public sector career includes serving as the Deputy Minister of Finance and Secretary to Treasury Board for Saskatchewan (1999-2001), Associate Deputy Minister of Finance and G7 Deputy for Canada (2004-2005), Senior Associate Deputy Minister of Industry (2007-2010) and Deputy Minister of the Environment (2010-2012). He was appointed to the faculty of the University of Alberta from 1984 to 2007. He has authored more than 70 publications in the areas of macroeconomics, international finance, debt management and public finance. An internationally recognized scholar, he was promoted to full professor in 1991. He founded the Institute for Public Economics in 1997. As an independent consultant, he has worked with Canadian and international clients in the areas of monetary and fiscal policy, and public sector management. Dr. Boothe was trained in economics at Western (Hons BA) and UBC (PhD). Dr. Ben Caldecott is the Founding Director of the Oxford Sustainable Finance Programme at the University of Oxford Smith School of Enterprise and the Environment. The Oxford Sustainable Finance Programme is a multidisciplinary research centre working to be the world’s best place for research and teaching on sustainable finance and investment. He is concurrently an Adviser to The Prince of Wales’s Accounting for Sustainability Project, an Academic Visitor at the Bank of England, and a Visiting Scholar at Stanford University. Ben specializes in environment, energy, and sustainability issues and works at the intersection between finance, government, civil society, and academe, having held senior roles in each domain. Ben has authored and edited a substantial number of publications related to the environment and is an experienced media commentator and public speaker. He is also a regular peer reviewer and has a number of board and advisory panel appointments, including with the City of London Green Finance Initiative, University of Oxford Socially Responsible Investment Review Committee, Green Alliance, Institute and Faculty of Actuaries, and the Natural Capital Finance Alliance. Prior to joining the University of Oxford he was Head of Policy at investment bank Climate Change Capital, where he ran the company’s research centre and advised clients and funds on the development of policy-driven markets. 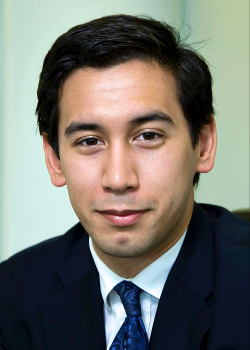 Ben has previously worked as Research Director for Environment and Energy at the think tank Policy Exchange, as Head of Government Advisory at Bloomberg New Energy Finance, as a Deputy Director in the Strategy Directorate of the UK’s Department of Energy and Climate Change, and as Sherpa to the UK Green Investment Bank Commission. Ben holds a doctorate in economic geography from the University of Oxford. He initially read economics and specialized in development and China at the University of Cambridge and the School of Oriental and African Studies, University of London. He has been a Visiting Scholar at Peking University and held Visiting Fellowships at the University of Oxford, the University of Sydney, and the University of Melbourne. Ben is also a Fellow of the Royal Asiatic Society and Royal Geographical Society, a Senior Associate Fellow at Bright Blue, and a Member of the Senior Common Room at Oriel College, Oxford. Kristin advises on international environmental law and legal aspects of campaigning in the areas of climate change, energy, toxics, water and forests related issues. She specializes in climate law. She is currently serving as litigation counsel for the global climate justice and liability project based at Greenpeace Canada. Prior to coming to Greenpeace International, she campaigned on climate change and other environmental issues for over 15 years. 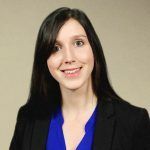 Kristin is a registered attorney with the Colorado Bar and holds a Foreign Legal Consultant Permit with the Law Society of Upper Canada, and a certificate in Natural Resources and Environmental Law. Judy Cotte is V.P. & Head, Corporate Governance & Responsible Investment for RBC Global Asset Management (“RBC GAM”) and is a member of the firm’s Executive Committee. RBC GAM manages approximately CAD $400 billion in assets for individual and institutional investors through offices in Canada, the U.S., Europe and Asia. The Corporate Governance & Responsible Investment team oversees all of RBC GAM’s activities related to corporate governance and responsible investment including the more formal integration of Environmental, Social and Governance (ESG) factors into the investment process, proxy voting and its ESG-focused engagement program. Prior to joining RBC GAM, Judy was the Director of Policy Development & Chief Operating Officer for the Canadian Coalition for Good Governance (“CCGG”), a coalition of most of Canada’s largest institutional investors. Previously, she was Senior Litigation Counsel with the OSC, litigation counsel for a large broker/dealer and a partner in a Bay Street law firm. Judy is a member of the TSX Listings Advisory Committee, the United Church of Canada Investment Committee and past member of the OSC’s Securities Advisory Committee, Continuous Disclosure Advisory Committee, Environmental Reporting Advisory Committee and Enforcement Committee. Gigi Dawe, Director, Corporate Oversight & Governance leads the Corporate Oversight and Governance department at the Chartered Professional Accountants of Canada (CPA Canada). 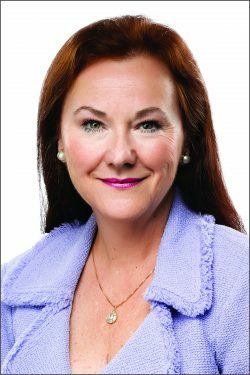 As such, she oversees CPA Canada’s development of influential, thought leading resources and events that improve board performance. Gigi launched the governance discipline at CPA Canada to facilitate enhanced board and executive response to market demands. Her history includes consulting in organizational development in a variety of industries. Gigi is a board member of Youthdale Treatment Centres. She is also on the International Corporate Governance Network’s Corporate Board Governance Committee, sits on the advisory board of Women Get on Board and of Simon Fraser University’s Next Generation Governance Project. She is a past board member of Active Healthy Kids Canada and Family Daycare Services Toronto. 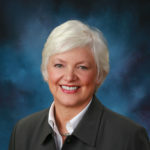 Gigi is a member of the National Association of Corporate Directors, the Institute of Corporate Directors, and the International Corporate Governance Network. Gigi obtained a Master of Laws at Osgoode Hall Law School. She teaches Corporate Responsibility and Ethics in the Masters of Financial Accountability program at York University. 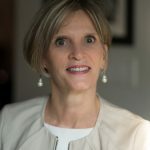 Julie Desjardins President of Desjardins & Associates Consulting Inc. is an independent consultant in the area of performance measurement and business reporting. Julie has authored and co-authored a number of publications on corporate reporting to capital markets and related governance, including Environmental Performance: Measuring and Managing What Matters; Management’s Discussion & Analysis Guidance on Preparation and Disclosure (2002, revised 2004); Climate Change Briefing: Questions for Directors to Ask; Environmental, Social and Governance (ESG) Issues in Institutional Investor Decision Making; Sustainability: Environmental and Social Issues Briefing Questions for Directors to Ask; and A Primer for Environmental and Social Disclosure. For a period in 2015-2016, Julie served as Director, Reporting & Capital Markets with the Chartered Professional Accountants of Canada. Julie is on the board of the Responsible Investment Association and has received two Ontario order-in-council appointments to provincial committees. She is the recipient of two Governor General of Canada medals for dedication to community service. David Estrin is a senior environmental law specialist with over four decades of experience in practicing, writing and teaching in this area. Most recently he has been a senior partner at Gowling Lafleur Henderson LLP. A trailblazer of Canadian environmental law, in 1971 he helped to found the Canadian Environmental Law Association, Canada’s first public interest environmental law advocacy organization and was first general counsel for its environmental law clinic; in 1976 he opened Canada’s first private law practice restricted to environmental law; and in 1990 founded the environmental law practice group at Gowlings. He has appeared as counsel at all levels of court in Ontario, Alberta and at the Federal level, and has many precedent setting cases to his credit both in the environmental and aboriginal law areas. He currently is a senior research fellow in the International Law Research Program at the Center for International Governance Innovation. His research interests focus on the governance and regulation of the environmental, natural resources and energy sectors, the relationship between international legal standards, corporate conduct, and human and indigenous rights, domestic and international law and market-based approaches to mitigating climate change, and in particular novel compensation mechanisms for climate changed induced loss and damage. 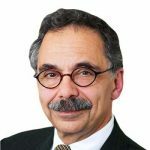 Throughout his highly influential career, David Estrin has authored or co-edited numerous authorities books including the first Canadian environmental law book, Environment on Trial: A Handbook of Ontario Environmental Law, and most recently, Business Guide to Environmental Law. He has assisted in the drafting of key environmental legislation, is the founding editor of the Canadian Environmental Law Reports and has taught environmental law at various law and environmental studies faculties including the University of Waterloo, University of Ottawa, and Osgoode Hall Law School. His contributions to Canadian environmental law were acknowledged by the Canadian Bar Association, which established the David Estrin Prize for best scholarly essay in environmental, energy, or resources law in 2006. David has held several senior positions with the International Bar Association, including being the immediate past chair of the IBA Environment, Health and Safety Law Committee and co-chair of the IBA President’s Task Force on Climate Change Justice and Human Rights; in this position he supervised the creation of the ground-breaking report, Achieving Justice and Human Rights in an Era of Climate Disruption. He is currently a council member of the IBA Section on Energy, Environment, Natural Resources and Infrastructure Law. Dr. Cristie Ford is Associate Professor and Director, Centre for Business Law, University of British Columbia. Her research focuses primarily on regulatory theory as it relates to international, US and Canadian financial and securities regulation. 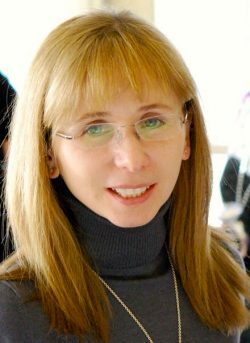 Her publications have analyzed novel remedies in securities law enforcement, principles-based approaches to securities regulation, systemic risk regulation and the regulation of financial innovation, and prospects for “responsive” financial regulation. She has authored multiple articles and two books: Innovation and the State: Finance, Regulation, and Justice (Cambridge University Press, 2017); and, with His Excellency the Right Honourable David Johnston and Kathleen Rockwell, the leading text Canadian Securities Regulation (5th ed., 2014). Prior to joining UBC, Professor Ford practiced in securities regulation and administrative law, including at Davis Polk and Wardwell LLP in New York. She obtained her graduate degrees from Columbia Law School, where she also taught in a variety of capacities. 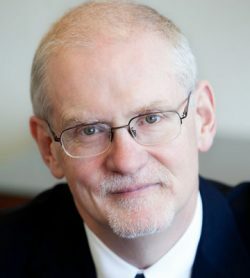 Professor Ford edited the interdisciplinary, peer-reviewed journal Regulation & Governance from 2012 through 2015 and now sits on its Executive Board, the Editorial Board of the Journal of International Economic Law, and the Academic Advisory Board of the Canadian Coalition for Good Governance (CCGG). She has served on several occasions as a consultant to the Canadian Department of Finance. She has lectured in law schools and to academic audiences across North America and in Europe, Australia, and Israel. She was a Killam Faculty Research Fellow in 2012/2013, and in 2015/2016 received the George Curtis Memorial Award for Teaching Excellence. Until recently, Catherine was contracted to fulfill the role of Senior Advisor, Responsible Investment with PGGM, a Dutch pension fund manager located in Zeist, The Netherlands. Prior to that, Catherine was the Manager, Corporate Governance & Proxy Voting for the Ontario Teachers’ Pension Plan in Toronto, Canada. She has a B.Sc in Microbiology from the University of British Columbia, is a Chartered Professional Accountant and was named a Rising Star in Corporate Governance in 2008 by the Millstein Center of Governance at the Yale School of Management. Catherine currently serves as Chair of the Remuneration Committee of the International Corporate Governance Network, headquartered in London, UK and was previously Chair of the Council for Institutional Investors’ Corporate Governance Advisory Council, headquartered in Washington, DC. She was recently appointed as Senior Executive Fellow at the University of Waterloo Institute for Sustainable Energy in Ontario, Canada. She writes and speaks regularly about corporate governance and responsible investment, and has been interviewed by and quoted in numerous financial press journals. 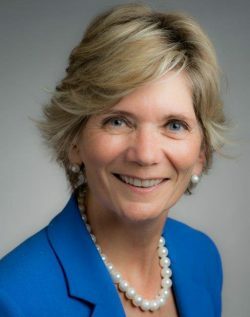 Catherine now offers her unique blend of investor perspective and expertise from numerous board-level engagements to help board members better govern their organizations, including the environmental and social risks they face. Patricia A. Koval is a corporate director and a recently retired Partner of Torys LLP, where she practiced in corporate finance, securities law, governance and climate change law. She co-founded and co-chaired the firm’s Climate Change and Emissions Trading Group. Pat is a long-standing member of University of Toronto’s Environmental Finance Advisory Committee, which designs programs and events to promote environmental thought leadership. She has organized and participated for over 10 years in programs on Carbon Finance, and she has lectured frequently to municipalities, NGO’s, corporations, professionals, various industry groups and associations, and law students on the issue of legal liability associated with climate change and climate risk. She is a contributing author to “The Law of Climate Change in Canada”. Pat also participated in the advisory group organized to assist the Ontario Securities Commission in evaluating environmental and climate-change related disclosure, and, as a current member of the Performance Reporting Board of CPA Canada, participated in the recent review and publication of its study on climate disclosure in Canada. Pat has a long history of volunteering for NGO’s working in the climate change arena, including World Wildlife Fund Canada, where she chaired the Board, Greening Greater Toronto, a multi-faceted initiative of CivicAction Alliance, and the Climate Change Adaptation Group created by the Intact Centre at University of Waterloo. She currently chairs the Board of the Living City Foundation, which supports the mission and work of Toronto and Region Conservation Authority, and serves on the boards of a number of Canadian and US organizations. She is a member of the Ontario Executive of the Institute of Corporate Directors, where she is involved in developing programs for directors. Pat graduated from the joint MBA/J.D. program at Schulich School of Business and Osgoode Hall Law School in 1981 and has an Honours BA in Economics. Sarah Keyes is a Principal in Research, Guidance and Support at CPA Canada. In this role, she leads research efforts addressing climate change issues and how they relate to organizational decision-making, reporting and corporate oversight and governance activities. She is a subject matter expert in climate change mitigation and adaptation issues, with a deep understanding of the interconnections between climate change and organizational strategy, risk and performance. Sarah started her career at PricewaterhouseCoopers in Audit & Assurance with a focus on mining and extractive industries. Prior to joining CPA Canada, Sarah was an energy consultant for government agencies, provincial regulators, oil and gas companies, electricity generators and distributors across Canada. As an energy consultant, she completed a number of projects focused on greenhouse gas emissions strategy and sustainable supply chain assessments. Sarah has co-authored several CPA Canada publications on climate change, including Climate Change Briefing: Questions for Directors to Ask, State of Play: Climate-Related Disclosures by Canadian Public Companies, and Accounting for Cap and Trade. Sarah has been a speaker at several workshops and panels on the topic of climate change, including the University of Toronto’s Environmental Finance Advisory Committee’s workshop on carbon pricing; the International Economic Forum of the Americas Conference of Montreal panel on resilient infrastructure and financing; and, the International Energy Agency’s Nexus Forum on energy sector resilience and adaptation. Sarah has certification in ISO 14064-3 for greenhouse gas verification and validation. She is a member of the Energy and Economics Working Groups as part of Canada’s Climate Change Adaptation Platform run by Natural Resources Canada. 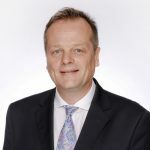 Andrew MacDougall is a Partner at Osler Hoskin & Harcourt, LLP who specializes in corporate governance, executive compensation and shareholder activist matters. He leads the Osler corporate governance practice, advising on director duties, director and officer insurance and indemnification, stakeholder engagement, disclosure and other governance matters. He was a staff member of the Toronto Stock Exchange Report on Corporate Governance, served on the Risk Oversight and Governance Board of the Canadian Institute of Chartered Accountants and is now as an inaugural fellow of the American College of Governance Counsel. Andrew also co-chairs the Osler executive compensation practice, advising on plan design, drafting and disclosure, corporate and securities regulatory requirements and corporate governance aspects. Andrew is also a leader in shareholder activist matters at Osler, having represented both activists and corporate clients which have been targeted. He is a frequent writer, speaker and commentator on new developments. 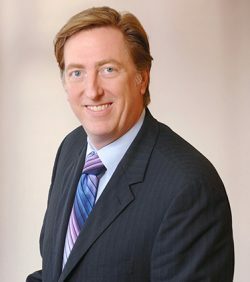 He co-authored the leading Canadian publication on shareholder engagement, a directors briefing on shareholder engagement released in 2012 by the Canadian Institute of Chartered Accountants, as well as the comprehensive Osler report on gender diversity disclosure by TSX-listed companies released last year. Jo-Anne is Manager, Corporate Finance at the Ontario Securities Commission. Jo-Anne joined the Ontario Securities Commission in 2003 and is a member of the Commission’s Senior Management Team. She leads a team of lawyers, accountants and geologists in the Corporate Finance Branch that is responsible for the oversight of public companies, including the review of prospectuses, continuous disclosure documents and applications for exemptive relief. In addition, she leads a number of policy initiatives, including currently co-leading the Canadian Securities Administrators’ (CSA) climate change disclosure review project. Previously, Jo-Anne led the initiatives that resulted in the publication of CSA Staff Notice 58-306 2010 Corporate Governance Disclosure Compliance Review, CSA Staff Notice 51-333 Environmental Reporting Guidance and amendments to National Instrument 58-101 Disclosure of Corporate Governance Practices relating to the representation of women on boards and in executive officer positions of TSX-listed companies. Prior to joining the Commission, Jo-Anne practiced corporate and securities law in Toronto, Ontario and London, England. Jo-Anne received her Bachelor of Commerce (Honours) from Queen’s University and her Bachelor of Laws from the University of Toronto. Dirk Matten is a Professor at the Schulich School of Business where he holds the Hewlett-Packard Chair in Corporate Social Responsibility. He has a doctoral degree and the habilitation from Heinrich-Heine-Universität Düsseldorf in his native Germany. He is also a Visiting Professor at the University of London, the University of Nottingham and at Sabancı University in Istanbul. Dirk currently serves as Schulich’s Associate Dean, Research. He is also the Co-Founder and Director of the Centre of Excellence in Responsible Business (COERB) at the Schulich School of Business. Dirk has taught and done research at academic institutions in Argentina, Australia, Belgium, Britain, Canada, the Czech Republic, France, Germany, India, Italy, Turkey, and the USA. He has published 24 books and edited volumes as well as more than 80 articles and book chapters which have won numerous prestigious awards. His work has appeared in many international journals including Academy of Management Review, California Management Review, Human Relations, Journal of Management Studies, and Organization Studies. Dirk is a co-editor of the journal Business & Society (SAGE). He is frequently cited and interviewed for newspapers and TV and writes Op-Eds for papers such as Der Spiegel or The Globe and Mail. The Cambridge based think tank CSR International ranks him among the ‘Top 100 CSR Leaders’. 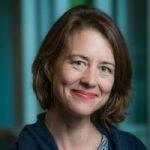 Catherine McCall is Director of Policy Development at the Canadian Coalition for Good Governance, a coalition comprised of representatives of Canada’s leading institutional investors which collectively manage assets of approximately CAD $3 trillion. As Director of Policy Development, Catherine is responsible for identifying governance issues and coordinating research related to governance as well as developing and drafting CCGG member policies, submissions, member communications and other documents for consideration by CCGG member committees and the CCGG Board of Directors. She also participates in the CCGG board engagement program. 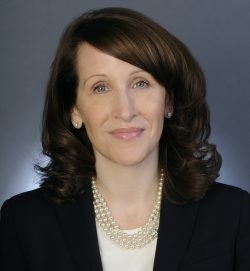 Prior to joining CCGG, she was a principal at Hugessen Consulting, an independent executive compensation firm working with compensation committees and boards, and head of its corporate governance practice. 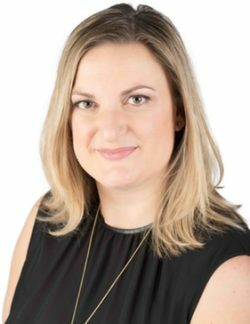 Catherine also has worked as a Vice-President and director of ISS Canada Corp. and as a partner with Fairvest Corporation, ISS’ predecessor firm. Catherine began her career practicing law with Davies Ward & Beck in Toronto. Catherine has written and spoken widely on issues of corporate governance, shareholder engagement and executive compensation and has recently completed the ICD Director Education Program. She is a member of the Ontario Securities Commission’s Continuous Disclosure Advisory Committee and designated as the Canadian country correspondent for the International Corporate Governance Network. 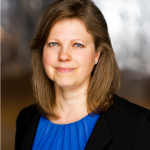 Professor Cynthia Williams joined Osgoode Hall Law School on July 1, 2013 as the Osler Chair in Business Law, a position she also held from 2007 to 2009, she is also the Co-Director of the Hennick Centre for Business and Law. Before coming to Osgoode, she was a member of the faculty at the University of Illinois College of Law and, prior to that, she practiced law at Cravath, Swaine & Moore in New York City. Professor Williams writes in the areas of securities law, corporate law, corporate responsibility, comparative corporate governance and regulatory theory, often in interdisciplinary collaborations with professors in anthropology, economic sociology, and organizational psychology. Her current work is a qualitative study of the Dutch Central Bank’s supervision of behavior and culture, undertaken with colleagues in the Netherlands and the United States. Professor Williams’ work has been published in the Georgetown Law Journal, the Harvard Law Review, the Journal of Corporation Law, Theoretical Inquiries in Law, the University of New South Wales Law Journal, the Virginia Law Review, the Academy of Management Review, the Corporate Governance International Review, and the Journal of Organizational Behavior, among others. Her book The Embedded Firm: Corporate Governance, Labor, And Finance Capitalism, co-edited with Osgoode Professor Peer Zumbansen, was published by Cambridge University Press. Professor Williams also engages in policy work through her board membership in the Climate Bonds Initiative (CBI), a London-based NGO established to create a new asset class, Climate Bonds, in order to finance the transition to a low-carbon economy; and as a member of the Advisory Board of the International Corporate Accountability Roundtable (ICAR). Laura Zizzo, Founder and CEO of Zizzo Strategy Inc. is a lawyer and strategic advisor with over a decade of experience leading organizations towards a low-carbon and climate-adapted future through the application of law and policy. Laura started her legal career with a prominent Bay Street law firm before founding the first law firm in Canada focused on climate change in 2009. In 2015 she founded a strategic consultancy to advise clients on identification, management and disclosure of climate risks and opportunities. She is a frequent writer and speaker on the move to the lowcarbon economy and has become a leading voice on the legal imperative to adapt to climate change. 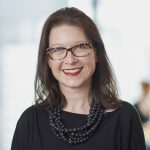 Laura has contributed to numerous research and policy papers on legal liability related to climate change adaptation, the use of existing legal mechanisms to address climate change, and the role of markets and flexibility mechanisms in driving emissions reductions. 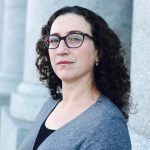 Laura has worked in the strategic research division of the Ontario Ministry of Finance and as co-editor-in-chief of the Journal of International Law and International Relations. 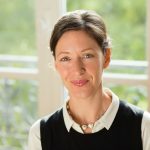 She is co-founder of the Climate Change Lawyers Network, a member of the International Union for the Conservation of Nature (IUCN) committee on Environmental Law, a member of the University of Toronto’s Environmental Finance Advisory Committee, sits on the board of the Clean Air Partnership. She has a degree in Environmental Studies from the University of Waterloo and a law degree from the University of Toronto. Laura is called to the Bar of Ontario.